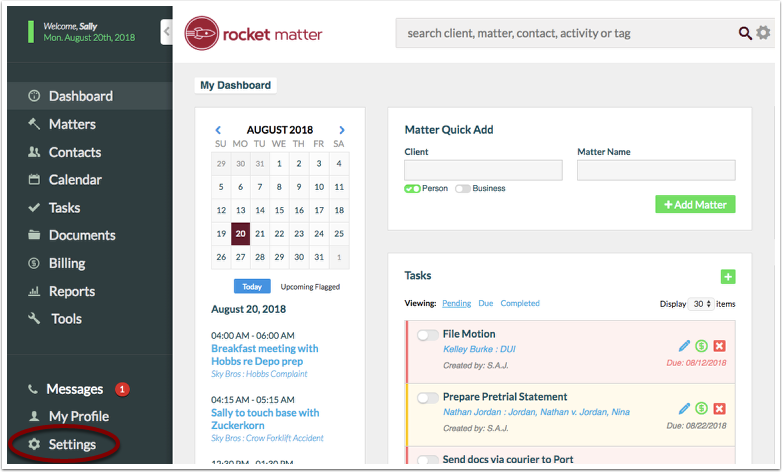 Rocket Matter Knowledge Base SettingsHow to delete a user. 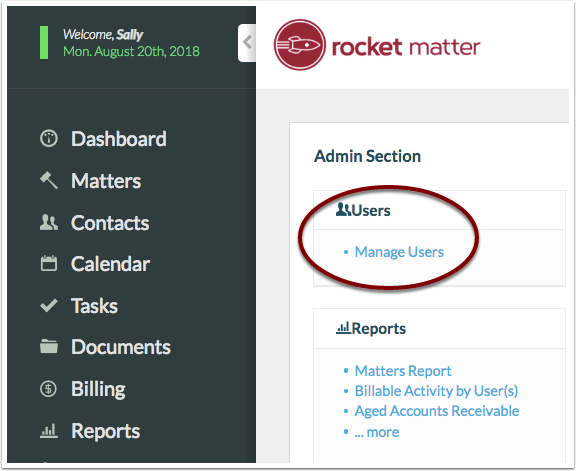 Deleting a Rocket Matter user will remove the user's ability to log into the account. 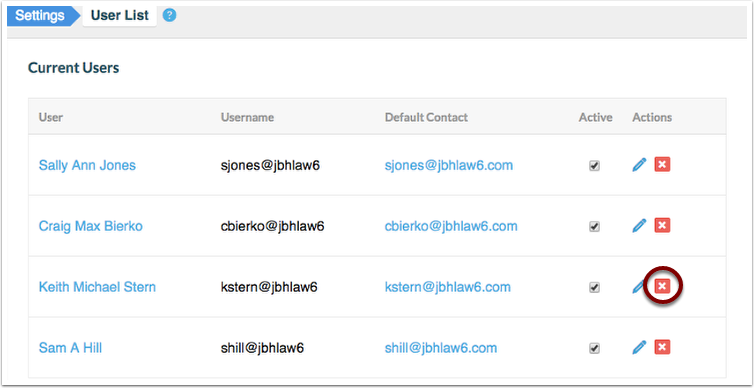 Deleting the user will also delete everything expect for any pending billable entries. 1. Click on Settings in the left-hand panel. Note, you must have administrative access to perform this change. 2. Click on 'Manage Users'. 3. Click the red 'X' next to the user you'd like to delete. Note: Deleting this user will remove the user's ability to log into the account and all of the user's history. Any pending billable entries will not be deleted. Prev: How to deactivate a user. Next: How do I activate Two-Factor Authentication?